Professional slugger Shane Victorino is a known sneakerhead, but even we were taken aback by the sheer amount of heat displayed in his latest Instagram flex. The right fielder shared this image, adding "Because it&apos;s a PASSION #wearyoursneakers," and we couldn&apos;t agree more. 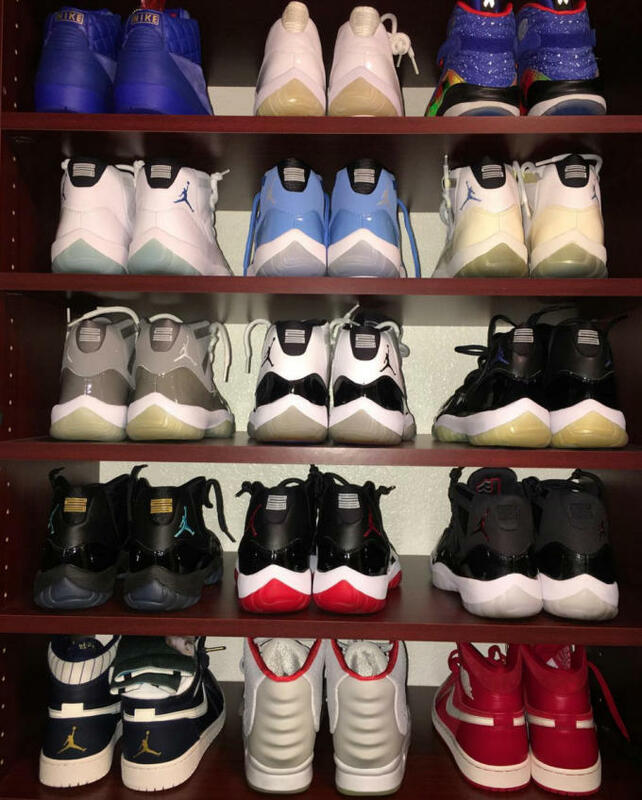 There&apos;s a ton of heat on display: Just Don x Air Jordan IIs, "Doernbecher" Jordan VIIIs, "Silver Anniversary," "Legend Blue," "Ultimate Gift of Flight," "Columbia," "Cool Grey," "Concord," "Space Jam," "Gamma Blue," "Bred," and "72-10" Jordan XIs, and "Jeter" and "Gym Red" Jordan 1s. There&apos;s even a pair of "Platinum" Air Yeezy 2s tucked in there for good measure. The entire lineup is impressive —​ especially the complete set of Jordan XI Retros —​ but the dopest pair might be the "Columbia" XIs from 2000, which actually look like they&apos;ve aged quite well. And the best part is that he wears every single pair — take notes, sneakerheads.